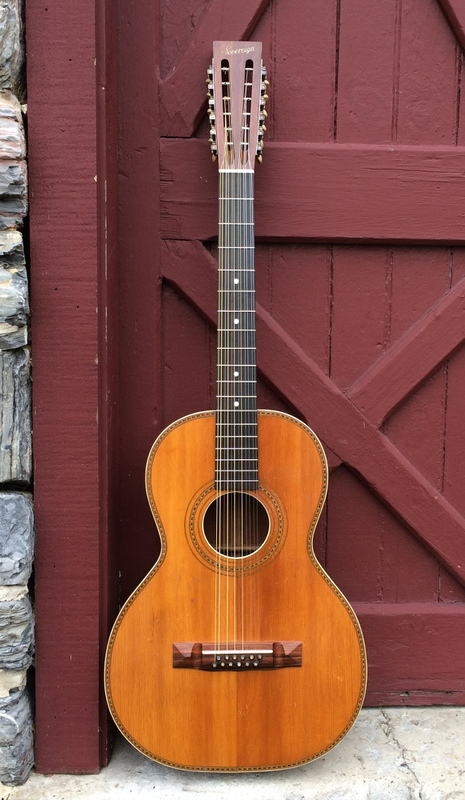 Thanks to bluesmen like Leadbelly, Willie McTell and 'BBQ Bob' Hicks, the Stella (Oscar Schmidt) 12-strings are iconic, but quite rare to source for players and collectors today. To find them in excellent condition is almost a needle-in-a-haystack quest! Vintage Blues Guitars has had the good fortune to handle a decent number of OS 12-strings over the years. We feel very fortunate to have experienced them as both players and repairmen .. we know them inside and out. 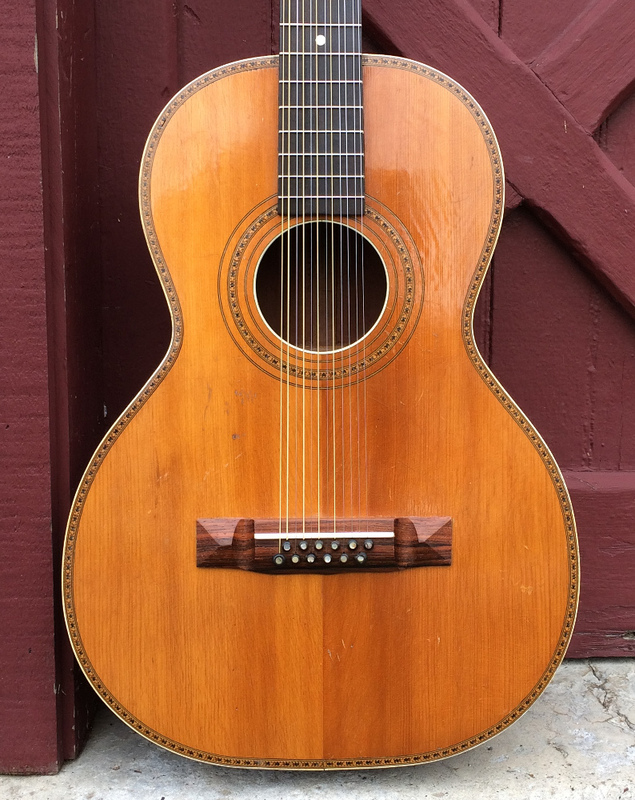 We feel especially privileged to come across a 12-string like this example .. it's that needle-in-a-haystack guitar: excellent condition, structurally sound, stellar sound and iconic in stature. This twelve specimen is tagged 'Sovereign', which was top-of-the-line in the OS lineup. It's cataloged as a Grand Concert size in the catalogs of the day, costing a whopping $9.50 in 1921! Grand concerts measure 14 3/4" across the lower bout, and have a 26 1/2" scale length (same long scale shared with the Auditorium-size jumbo). The top is cataloged as 'white spruce', and back and sides are mahogany. 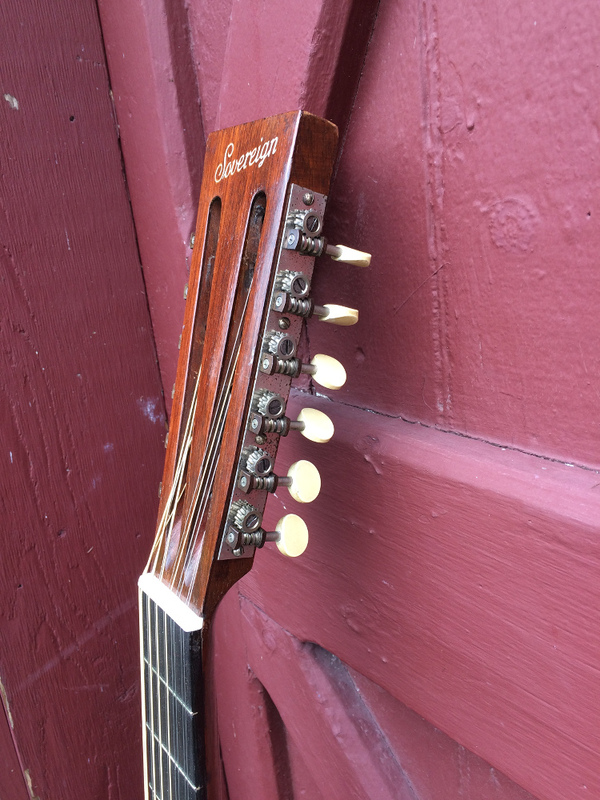 The top, back, sound hole and back stripe are the colorful 'Leadbelly' marquetry found on the high end OS line. 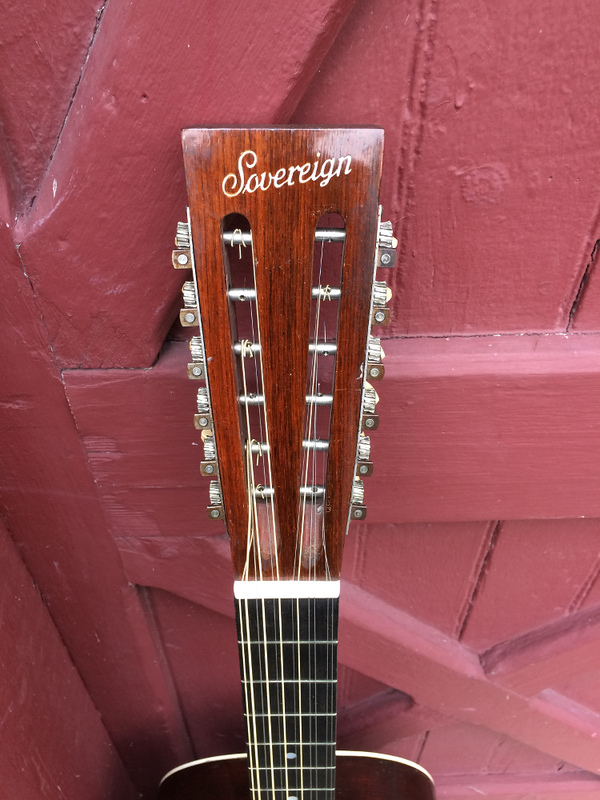 The neck is mahogany and a Brazilian rosewood cap on the headstock sports the 'Sovereign' logo in embossed, white script. 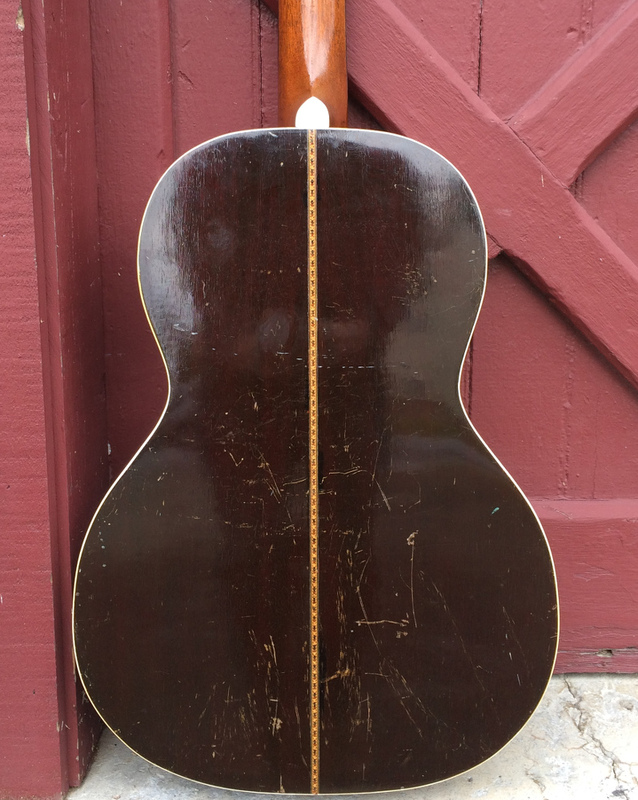 The fingerboard is 'ebonized' wood, common on many guitars of the day. The tuners are original. 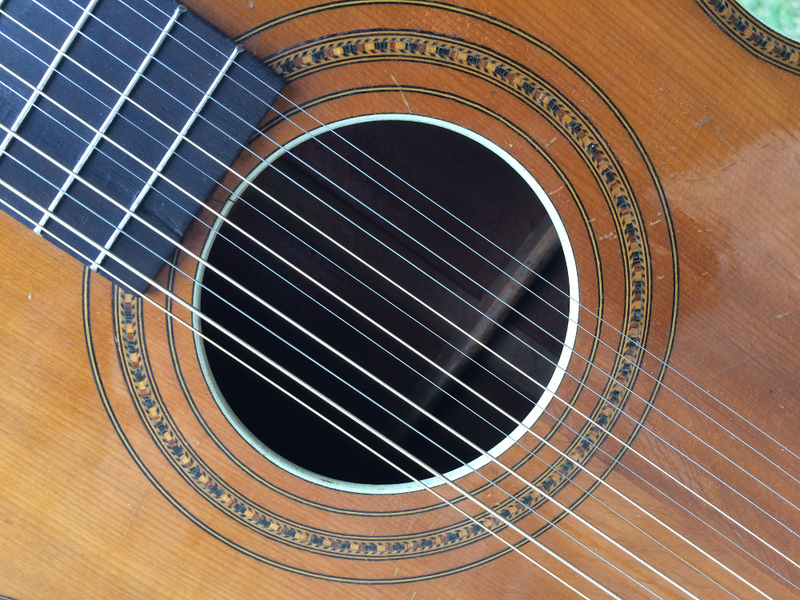 The bridge is an exact Brazilian replica of the original, which was shaved at some point to lower the action, but will stay with the guitar. The bulk of the pearl-dot bridge pins are original, with a few 'of the period' added to replace non-matching pins. 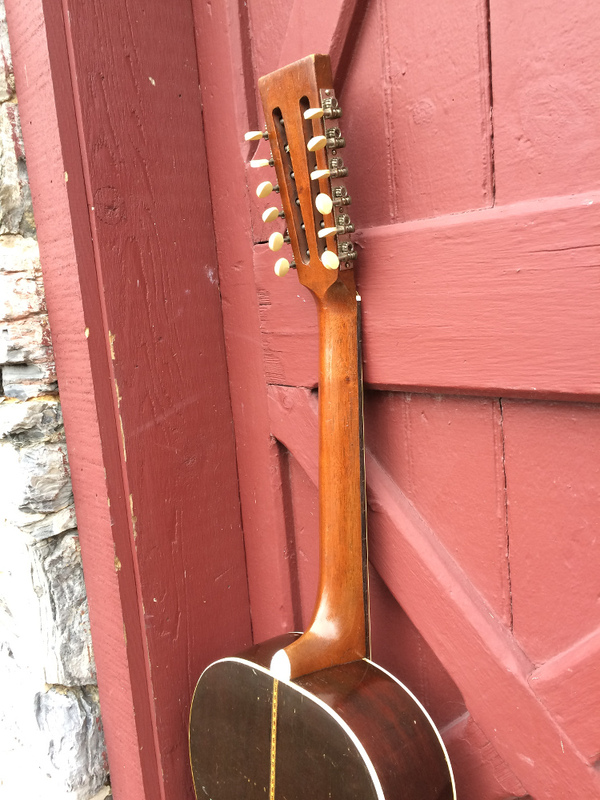 The guitar is crack free, and the finish is original and unmolested. Recent repairs include a neck reset, frets leveled and crowned, and a shrinkage check along the fingerboard extension glued. The tuners show just a bit of oxidation, but were disassembled, cleaned and lubed. 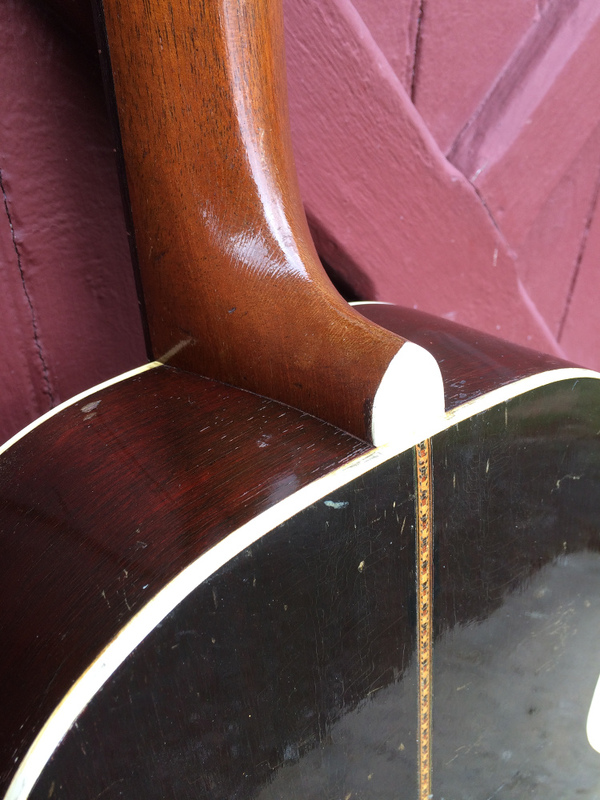 The guitar shows nicks, scratches and a few dings from wear over time but sparkles overall. 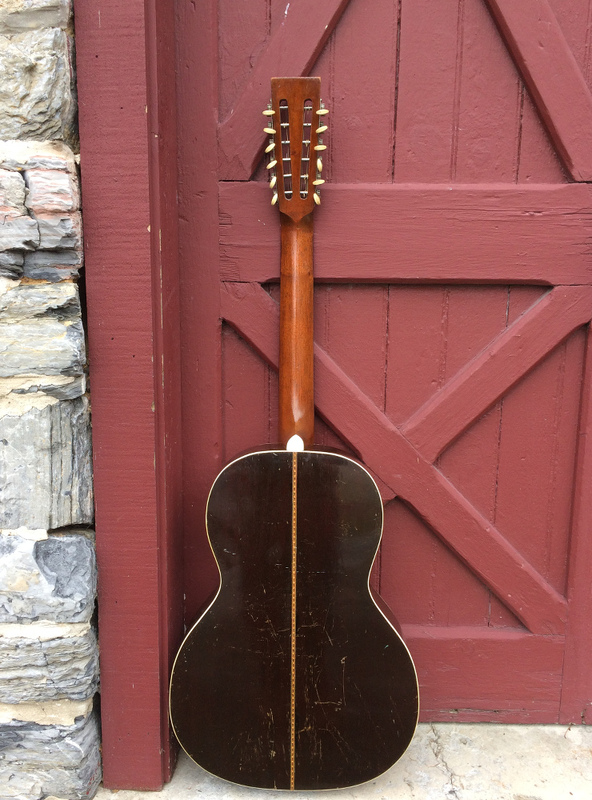 With the action set at about 6/64" the guitar plays easily with 11-48 bronze strings (one could go heavier). The sound produced is stellar for its type .. a full woody sound with strong mids and highs, with a ringing sustain. Comes with a newer soft case in excellent condition.